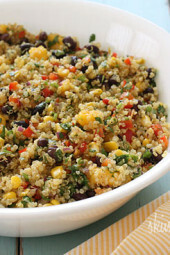 An easy side dish that would make a delicious and beautiful addition to your Holiday table! Madison, my youngest daughter loves raw carrots. 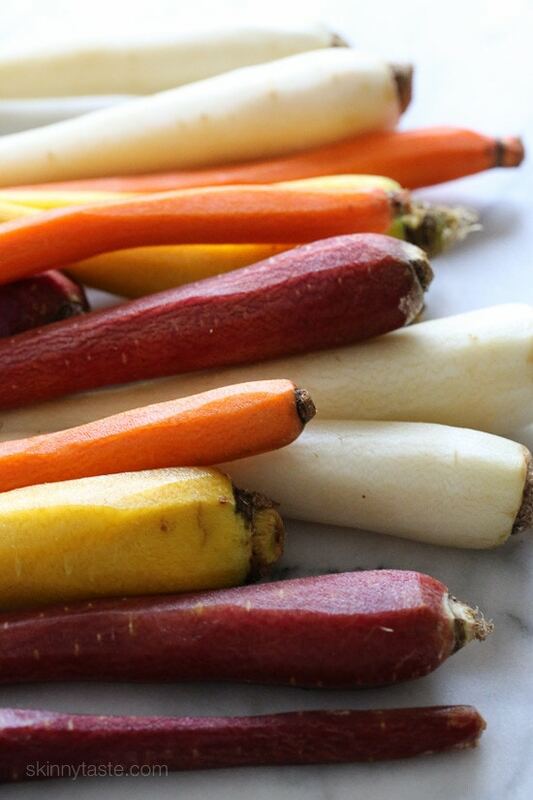 She gets them in her lunch box every single day, so when she saw these rainbow carrots in Trader Joe’s, she couldn’t believe carrots came in so many colors so I had to buy them for her to taste. 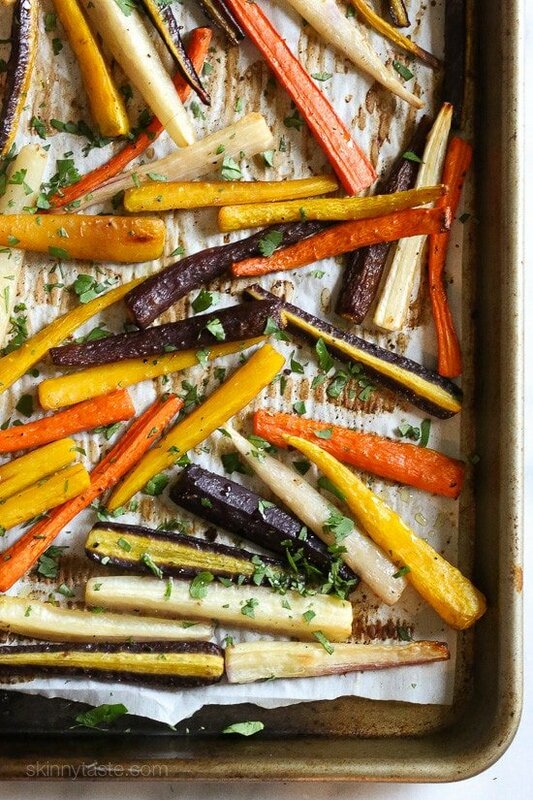 The colors are just gorgeous, but you can also use orange carrots for this recipe. 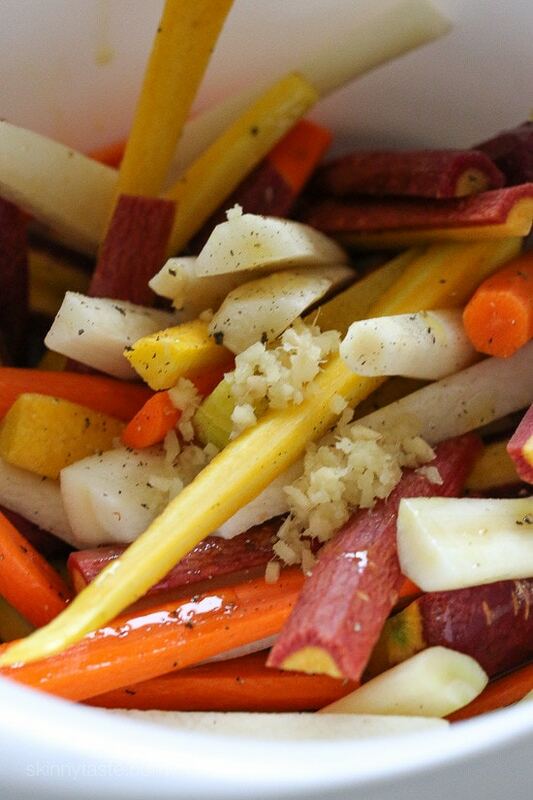 In a large bowl, combine carrots, 2 teaspoons olive oil, salt, pepper and ginger. Toss to evenly coat. 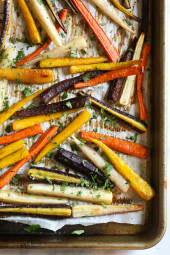 Place carrots on a parchment lined sheet pan and roast for 30-35 minutes or until caramelized and tender, stirring once halfway through. 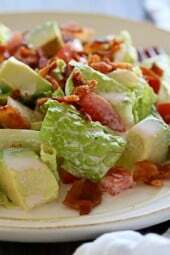 Drizzle with the remaining teaspoon of oil, add cilantro, carefully toss and serve. Could this be made in a crockpot? If so, how long do you think it would take? Hey Gina, My mom doesn’t care for cilantro but I wanted to make this for a Thanksgiving side. Could you suggest a different spice in place of the cilantro? You can leave it out, or sub parsley (Italian flat leaf). 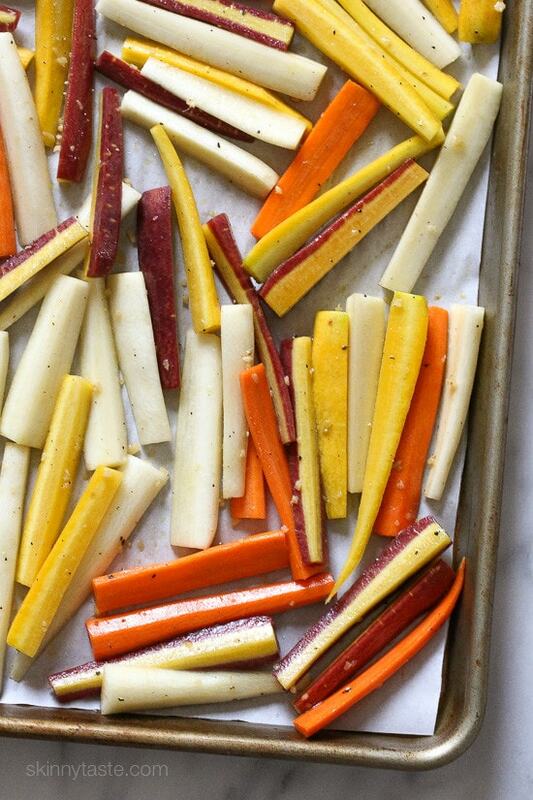 I mixed rainbow carrots, parsnips and beets. Delicious! May I ask, how is this 12 Points+ for the entire dish (6 servings at 2pts+ each)? Are you getting a different point value? I thought carrots were 0pts+, the 3 teaspoons of olive oil is 3 (1pts+ per teaspoon) and the rest of if the ingredients are 0pts+ Am I wrong? I apologize if I'm incorrect. And also, may I please share with you that I've been looking at your website for many years and I contribute part of my success of losing 35lbs and staying healthy to your website. 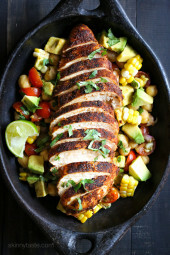 I appreciate you so much and skinnytaste.com is my #1 go-to for recipes. Thank you for all that you do! Love carrots and I love how beautiful these are! Hi Gina, FYI I am making your Chicken Divan, Lightened Up with Turkey Breast for dinner tomorrow, and this is going to be my side dish!!! Love Carrots!!! I'm going to make this part of my thanksgiving meal.